The University of Gibraltar is offering a prestigious Commonwealth PhD Scholarship, an opportunity for researchers who are citizens of the Commonwealth to come and study at our iconic Europa Point Campus. About the Award: The purpose of the scholarship is to enhance individual teaching and research capacity leading to increased institutional capacity in academic and other sectors in Commonwealth countries and to contribute to Gibraltar’s higher education and research by attracting international candidates and encouraging links and collaboration. The scholarship is intended for high-quality graduates who have the potential to become influential leaders, teachers, or researchers in their home countries, and whose proposed research topic has been demonstrated to the satisfaction of the selection committee to have a developmental and leadership focus. By October 2017, hold a first degree of at least upper second class (2:1) honours standard, or a second class degree and a relevant postgraduate qualification (usually a Master’s degree). have a good honours degree (or equivalent) in an appropriate discipline, and ideally have research and/or professional experience at postgraduate level as evidenced in published work, written reports or other appropriate evidence of accomplishment. have achieved a minimum of English Language competence equivalent to at least IELTS 5.5 across all four areas of competence – writing, reading, speaking and listening. An IELTS test will be considered valid only if it is taken after 1 October 2016 and before 10th June 2017. 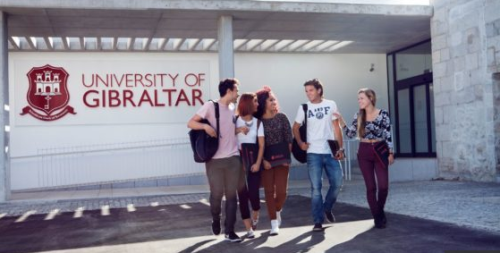 Value of Program: The Gibraltar Commonwealth Scholarship Scheme provides financial support to include all University fees, one annual return trip to and from the country of residence and a monthly stipend towards completion of a three-year full-time doctoral postgraduate qualification at the University of Gibraltar. How to Apply: This is a joint application system whereby the application is for both the scholarship and for a place to read for a PhD at the University of Gibraltar. the names and contact details of up to three subject specialists whom you think the University might approach to review your PhD proposal and/or who might be able to offer expert supervision in your field of study. The application must be received by us by Thursday 15th June, 12 noon Gibraltar time (GMT+1) and applications will be acknowledged by email receipt by 5 pm Gibraltar time (GMT+1) on the same day. Now that all the information about University of Gibraltar prestigious Commonwealth PhD Scholarship has been delivered nicely; talented students who are eager to pursue their Free Tuition/Scholarships/Study in Europe can apply now. Labels: Europe Scholarships, PHD Scholarships, Scholarship.